With summer fast approaching it’s time to once again dig out those pasta recipes. Barbecues and pasta salads are meant for each other. 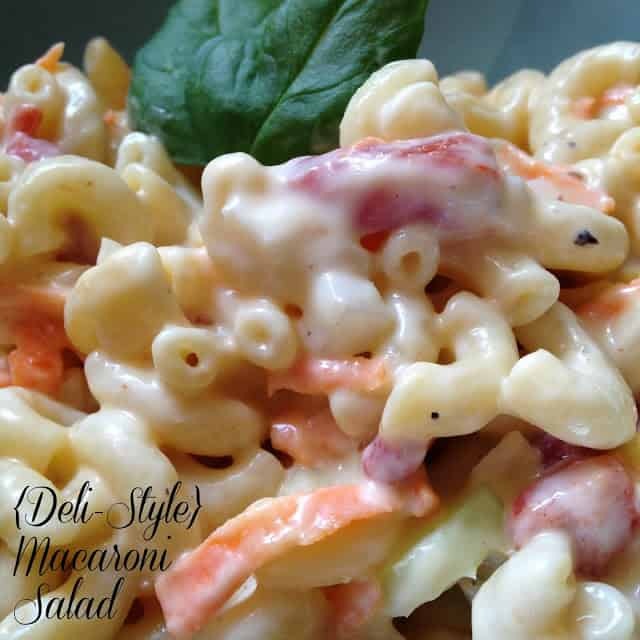 I know for some people it’s easier to stop at the local deli and pick up a pound or two of pasta salad but let’s face it….that can get expensive and who wants to run to the grocery store all summer long? 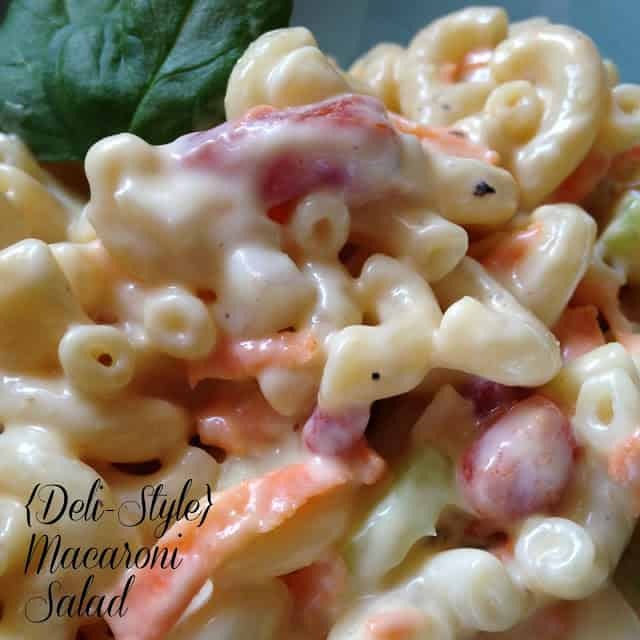 Deli-style Macaroni Salad is made with ingredients you probably have in your refrigerator and pantry right now. Which means making pasta salad(s) at home is less-expensive and more economical than buying it at the grocery store deli. With a well stocked pantry, you can make any number of pasta salads. Another bonus, making pasta salad(s) at home yields more salad, which means more to salad to enjoy. Cook macaroni according to package directions. Drain and rinse under cold water, drain again. In a large bowl, whisk together mayonnaise or miracle whip, white wine vinegar, Dijon mustard, salt, pepper and sugar. 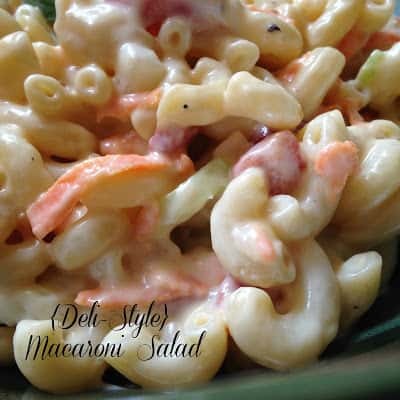 Add celery, carrots, onion, pimentos and cooked elbow macaroni. Toss lightly to combine. Chill at least one hour before serving. Hi Lynn, how you doing? Happy Mother's Day to you. 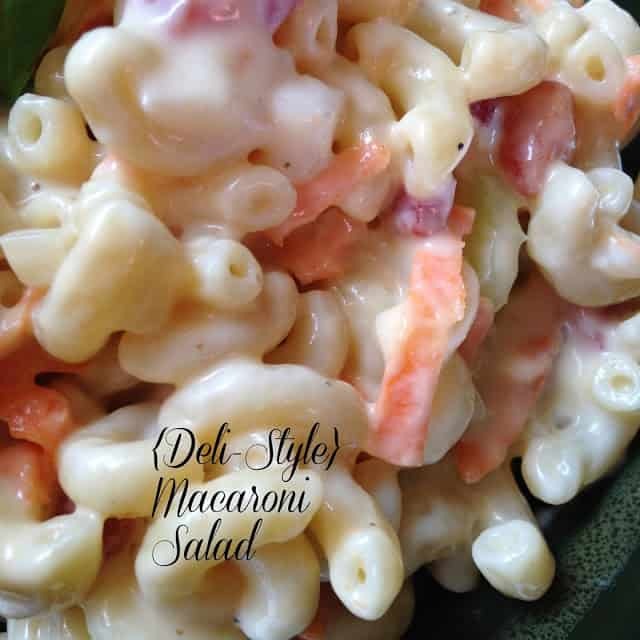 Your macaroni salad sound appetizing and refreshing. Great for hot weather when no idea what to cook. Yet to try salad style, usually we bake with cheese or cook with chicken soup. Thanks for sharing.